A few years ago I saw an interview with a couple of people who write nativity plays – there’s one with a couple of pizza delivery boys! It’s a great way to include lots of kids, I guess, and it helps to freshen up the old story a bit – if you think it needs freshened up! Which raises the question of another character – often featured – who possibly does not actually belong in the story. I don’t mean Father Christmas, or David Beckham, or Wayne Rooney, or any other modern day celebrity. Of course there is no actual innkeeper mentioned! His existence is implied. But what are we to make of him? Should we applaud his creativity insofar as he was able to come up with a place for Mary and Joseph, even though the inn was full? Or should we reprimand him for not giving the young couple a proper place to stay when he saw their plight? You know how the story goes. Poor Mary and Joseph with nowhere to stay. Strangers in a busy town. All the hotels were full. The B and Bs. They went from door to door and it was always the same story. 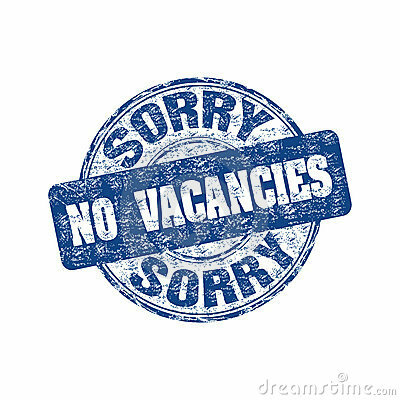 Sorry – no vacancies. Nowhere to stay. No friends and no family. No room at the inn. Only the stable – a draft one, with an open door – thanks to the kind/grudging innkeeper! And you’ve heard the evangelistic applications! Have you any room for Jesus? No room in Bethlehem’s inn, but is there room in your heart? But what if the reason that there is no mention of an innkeeper is because the story doesn’t even have an inn? And right now you are scrambling around in your memory because you know what the Bible says. Not sure if it’s Matthew or Luke, but you’re sure it’s there somewhere. What you are looking for is Luke 2:7 – And she gave birth to her first born son and wrapped him in swaddling cloths and laid him in a manger because there was no place for them in the inn. So there it is. An inn. If there was an inn, there must have been an innkeeper. Or an innkeeper’s wife (she would have been a lot more understanding, being a woman: what with Mary obviously about to give birth). Which, by the way, raises another interesting point about the nativity story – the Bible version this time! What about the midwife? Surely there was a midwife? But she’s not mentioned – no name, nothing. A few years ago J John wrote an Advent reflection where he talked about the midwife. This nameless woman who carried the responsibility of helping to bring the Son of God into the world. He makes the point – and it’s important – that we can be anonymous to the world but no one is anonymous to God. But back to the inn. Without being too technical about it I think there is a good case to be made for translating ‘inn’ as ‘guest room’. The word Luke uses in chapter 2 is also used in chapter 22 and it means a guest room. When Luke talks about an inn in the story of the Good Samaritan, he uses a different word. It’s reasonable to think that Joseph, being ‘of the house and line of David’, had some relatives or friends in the village. It is also possible that there were other out of town members of the family who had come back for the census. In which case the relative with whom Joseph and Mary had planned to stay had no room in the guest room: another family member had got their first or was considered more deserving of the guest room. Or perhaps, with the impending birth, the room was not big enough! At that point Joseph and Mary would have had to be accommodated in what was traditionally the family room at the far end of which were mangers to feed the animals which were brought into the adjoining stalls at the end of the house. When Jesus was born, neither he nor his mother enjoyed the relative comfort of the guest room: and the only place to place the baby was in the animal feeding troughs. That, of course, is one way to ruin a few Nativity plays, or a few Christmas Eve sermons, or even a few carols. When the Son of God came into the world, it was not to a palace, much less a private hospital. He was born in a place that hardly had room for him. His first sleep was surrounded by the smells of animals as he lay in a feeding trough. And – as a glance at Mark 10 or Philippians 2 reminds us – it was only the beginning. He took on our humanity in its weakest, most vulnerable and most dependent form. He lived as a servant, obedient to his Father with an obedience that went as far as death – even the utter humiliation of death on a cross. There is still room for us to get onto our knees by the manger. And we also need to realise that while both the incarnation and the death of Jesus are unique events, fundamental to our salvation, they also serve to challenge us about how we live. There is no room for self-centred arrogance among the servants of the Servant King. Next Post Four Kinds of Christmas: which one are you?